Virginia real estate investor Olivia Quinn says she lost her mortgage because Rent-A-Center, the nation’s largest rent-to-own merchandise company, failed to remove a black mark on her credit report. She had paid what she owed for the bedroom furniture — twice. Jessica Gonzalez’s federal lawsuit says she huddled with her two boys in a closet of her Florida home while a Rent-A-Center employee pounded on her house to collect rent on her household goods. Unhappy with a Rent-A-Center contract? Debt collectors who took over Rent-A-Center past due accounts told reporters that nearly a third of the consumers they called had records showing their accounts were paid off. But Rent-A-Center’s documents didn’t reflect those payments, said the debt agencies, some of which are taking legal action to collect from the company. The Federal Trade Commission, aware of the industry’s tactics, has issued warnings about the risks of signing rent-to-own agreements. Rent-A-Center is a publicly traded company based in Plano, Texas, that began in 1986 by offering consumers a way to acquire household goods they otherwise couldn’t afford. The opportunity is attractive to low-income households. The company’s mission is to improve the lives of its customers, serving as a “welcome hand up amid a sea of thumbs down,” the company said in an email. Chris Korst, Rent-A-Center’s chief administrative officer, said in an email that the company takes consumer complaints seriously. “We strive to provide the highest level of customer service and when we fall short of that expectation, we work equally hard to resolve those issues,” he said. Rent-A-Center raises prices how high? Rent-A-Center notes that one reason its prices are higher is that they include delivery, setup, service and other benefits. Many retailers don’t offer those services, Rent-A-Center said. Six, then in her early 20s, chose a sectional sofa, bedroom furniture and two mattresses. She didn’t want to use credit to cover the $2,094.46 cash price. She didn’t hear from the company for several months, her complaint said. Then in March 2015 she got a call from Rent-A-Center demanding that she pay $497.06 or the company would pursue theft charges, her complaint said. Rent-A-Center representatives began showing up at her house, leaving notes threatening to call the police if she didn’t pay or return the “stolen” items, she told reporters in an interview. Rent-A-Center has strict targets, say the former managers. When they worked for the company, a store’s percentage of past due customers had to be under 6% each week, say the workers, some of whom agreed to interviews only if they were not identified because they had signed nondisclosure agreements with the company. If stores don’t hit their numbers, managers are required to work extra shifts and can lose their jobs, they say. Store sales staff doubles as the company’s first-line collectors. They call customers within hours of a missed payment, former Rent-A-Center employees say. The company often sends workers to track down customers late by a week or more. The Federal Trade Commission received 2,779 complaints about Rent-A-Center and Acceptance Now between January 2016 and June 2017. More than 90% dealt with the company’s aggressive collection tactics, including employees banging on customers’ doors and laying on car horns outside of residences. The company still hasn’t provided an itemized statement, Six says. Laws in many states allow rent-to-own companies to pursue criminal charges against customers who stop paying and don’t return items swiftly after being asked to do so. 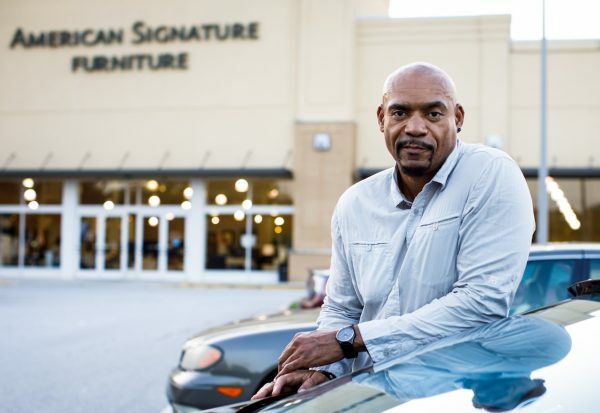 David Strosnider, a former Rent-A-Center manager in Charlotte, North Carolina, says he pursued criminal charges against only those customers who had paid off less than 30% of the merchandise. “The only ones I sent to criminal court were people who paid only a few payments and then we were unable to get in touch with them,” he wrote in a comment on a blog post in December 2016. We had some managers who were filing charges on anybody who didn’t pay their bill. “We had some managers who were filing charges on anybody who didn’t pay their bill,” says Strosnider, who worked for Rent-A-Center from 2012 to 2015. In Houston, the Harris County district attorney’s office has filed criminal theft charges against delinquent rent-to-own customers for at least two decades, says Valerie Turner, the county’s chief of consumer fraud. The district attorney’s office has authority to take such actions under a Texas law passed 40 years ago after lobbying by the rental industry. Nearly one-third had asked Acceptance Now for a record of their payment history or verification they owed money. The company’s representatives failed to provide it, often saying they had no way of doing so, former customers said. “When I asked the representative why she was only applying $47.19, she stated, ‘because you are so far behind I had to play with the numbers to get the closest it would let me get,’” the complaint said. Companies that mishandle customer records can be subject to penalties by state or federal regulators, Ohio Attorney General DeWine says. He led a 2015 push by state attorneys general to force credit reporting agencies to fix inaccuracies on consumers’ credit reports. Rent-A-Center’s systems have also harmed middle-income consumers, including thousands of Acceptance Now customers who reported calls from debt collectors long after they paid their debts. He spoke to a Rent-A-Center district manager, who asked why his payments had been late and hung up, Walton’s notes show. He left many messages for a regional director but never got a call, says Walton, whose notes contain the full names of both managers. In late 2015 another debt collector called, saying his company had purchased Walton’s debt. Walton showed the collector his records. Soon, his credit record was restored. He thought the matter was resolved. But in February of this year, a third debt collector left threatening voicemails for Walton’s sister and nephew, he says. The messages warned that Walton would be arrested if he didn’t pay, he says. Walton and other consumers don’t know why their accounts were mishandled. But two debt collectors have records that provide a window into the company. Of the roughly half Vigliotti kept, he said at least 1,800 turned out to owe nothing, or about 1 in 5. An additional 770 customers had been sued and later paid to settle their debts, according to Vigliotti’s research, which NerdWallet reviewed. Element’s collectors noticed inaccurate records beginning in early 2015, says Eric Westermeyer, a former chief operating officer at the company. Westermeyer asked his staff to document the responses. Forty-five of the first 100 customers said they had settled up, according to records Westermeyer shared with a reporter. One customer claimed to have served jail time in Pinellas County, Florida, for not paying $3,383. They were continuing to collect on accounts that weren’t theirs and not crediting consumers. To me it’s fraud. Some stores continued to accept customers’ money even after their accounts were sold to debt collectors, says Parks, who is on the board of the Receivables Management Association, an industry trade group for debt buyers and collectors. That’s not legal. A company typically relinquishes all claims to an account once it is sold to a debt collector. “They were continuing to collect on accounts that weren’t theirs and not crediting consumers,” Parks says. She got the items at a Kane’s Furniture store in Clearwater, Florida, in 2011 before moving to Virginia. She thought Kane’s had handled the transaction and wasn’t told her agreement was with Rent-A-Center or Acceptance Now. In 2012, after her records show she made payments totaling nearly $1,500, she says she called Kane’s to pay off the account. The Kane’s manager said he would credit her payment, she says. She considered the issue closed. But she says that three years later a collection agency in Amherst, New York, called to say she owed more than $1,600 to Acceptance Now. At the time, she didn’t associate the debt with her Kane’s furniture. But because she was shopping for a house and needed good credit, she accepted the debt company’s offer to settle up for $799, she says. It sounded like the debt for her furniture, again. Her inquiries soon revealed that her Kane’s furniture had been paid for through Rent-A-Center. A Kane’s spokeswoman told reporters the company has no record of the transaction. Quinn says Rent-A-Center employees refused to accept the payoff letter, saying they would not clear up her credit unless she paid Rent-A-Center directly. Alex Richards, a reporter at NerdWallet, Jill Riepenhoff, an investigative producer at Raycom Media, Jay Root, a reporter at The Texas Tribune, and Josh Salman, a reporter at the Sarasota Herald-Tribune, contributed to this report. Photo of Olivia Quinn (top) by Julia Rendleman. 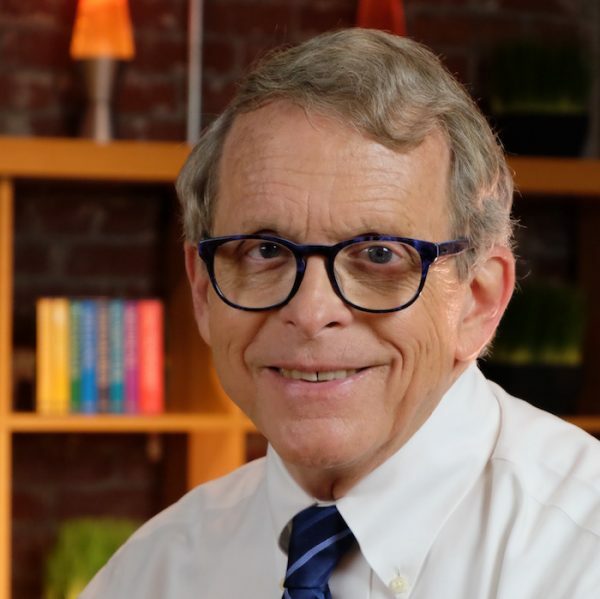 Photo of Mike DeWine courtesy of the Ohio attorney general’s office. Photo of Leroy Walton by Dustin Chambers.